Multiple reports on Tuesday confirmed the brutal racist, homophobic assault on Empire star Jussie Smollett in Chicago, perpetuated by two white men who yelled ”MAGA Country,’ put a noose around his neck and poured bleach on him. Smollett was subsequently hospitalised after the attack and it has drawn wide sympathy and uproar on social media. Celebrities like Kerry Washington and Viola Davis have condemned the attack on Smollett. In Nigeria, it has opened a discourse about the safety of LGBTQ people still being abused and harmed with impunity. 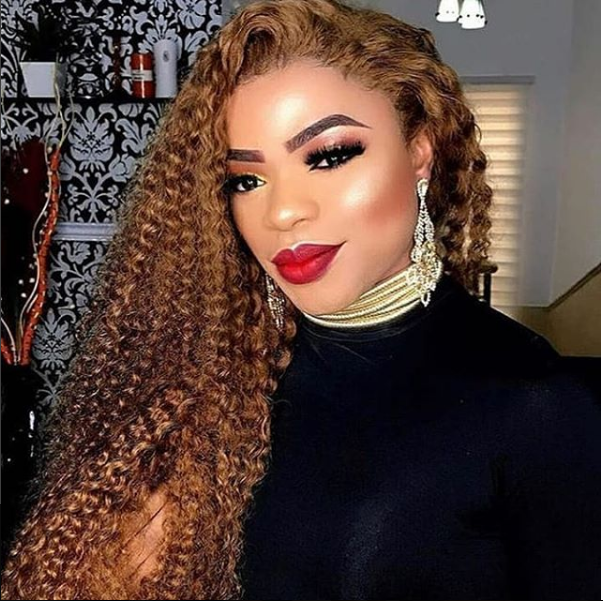 But Bobrisky, who is in the spotlight and known for her frivolous, tongue-in-cheek statements, has dragged a homophobe on Instagram after she commented on the Smollett incident. And we are here for it. 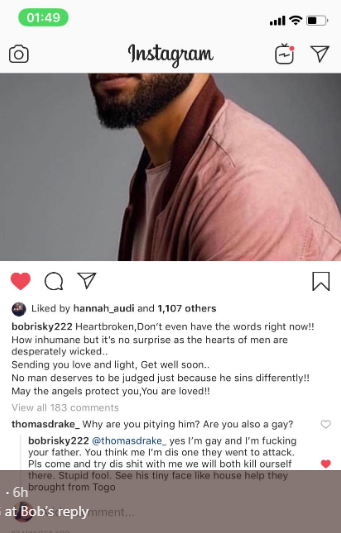 Bob expressed her how pained and heartbroken she was upon hearing about the attack, and sent her love and prayers to Smollett. ”Why are you pitying him. Are you also gay?” the homophobe crawled out from his dark, stinking cave to say. To which Bob replied below, with so much energy and fierceness that we just had to stan her.